This page presents a compilation spine-related scientific books especially on spinal biomechanics, implant, fusion or motion-preserving technologies. PLEASE NOTE: The comments directly come from the publisher(s). Unique in its direct and comprehensive approach, this Third Edition presents a working knowledge of biomechanical principles for use in the evaluation and treatment of musculoskeletal dysfunction. Three sections address the biomechanics of musculoskeletal tissues and structures, the biomechanics of all human joints, and applied biomechanics. The book features contributions from a variety of disciplines including orthopaedic surgery, physical therapy, occupational therapy, hand surgery, physical medicine and rehabilitation, sports medicine, biomechanical engineering and anesthesiology. This edition's new introductory chapter explains the importance of biomechanics study and includes the "International System of Units" appendix. A new section on "Applied Biomechanics" includes chapters on fracture fixation; arthroplasty; standing, sitting, and lying; and gait. Boxes with biomechanical computations promote comprehension of biomechanical principles. Practical examples and clinical case studies apply biomechanical knowledge to practice. Additional illustrations, including radiological images, enhance comprehension. A Brandon-Hill recommended title. Completely revised and updated, the Third Edition of this classic text reflects the latest advances in research on orthopaedic biomechanics and the successful applications of biomechanical principles in fracture fixation, prosthetic implant design, and hip and knee arthroplasty. For this Third Edition, Dr. Mow is joined by new co-editor Rik Huiskes, PhD, an Editor-in-Chief of the Journal of Biomechanics and an internationally renowned authority in the field. New chapters cover biomaterials, biomechanical principles of cartilage and bone tissue engineering, and biomechanics of fracture fixation and fracture healing. This practical text, written by four key researchers in the field, offers an effective approach to the management and treatment of back pain based on applications of biomechanics. By linking the clinical anatomy of the spine to biomechanics principles, it provides a bridge between anatomy and practical applications. This highly illustrated, up-to-date book is essential reading for anyone involved in the care and treatment of patients with back pain, as well as for those studying its causes and methods of prevention. Addresses the important and prevalent problem of back pain thoroughly from a unique biomechanics perspective. Written especially for practitioners, the book presents information in a way that is relevant to therapists who treat patients with back pain. Authored by four of the leading researchers in the field from different professional backgrounds, the book comprehensively examines back pain from diverse perspectives. Provides an understanding of back mechanics that is necessary in order to form an accurate diagnosis and treatment plan. Six new chapters are included: Growth and Aging of the Lumbar Spine; Spinal Degeneration; Biomechanics of Spinal Surgery; Surgery for Disc Prolapse; Spinal Stenosis and Back Pain; and Conservative Management of Back Pain. Expanded sections on spinal growth and aging provide additional comprehensive information on this important topic. Includes additional and updated information on the interpretation and explanation of spine research literature. An expanded color plate section with 23 new black-and-white photographs and 21 new line drawings illustrate the content clearly. This book addresses the mechanical and structural aspects of the skeletal system along with the analysis and design of orthopaedic implants that are used to repair the system when it is damaged. Focuses on applications of mechanical engineering in orthopaedic biomechanics, quantitatative modeling, and improving the readerrs"s understanding of mechanics. Introduces the musculoskeletal system, determining loads and motions, the structure and properties of bone and soft tissue, and stress analysis of biomechanical systems), as well as introducing applications of the material (including a basic introduction to bone-implant systems, fracture fixation devices, hip replacements, knee replacements, and articulating surfaces). For those interested in orthopaedic biomechanics, as well as orthopedic surgeons who wish to learn more about mechanics and design in the musculoskeletal system. "Orthopedic Biomechanics" sheds light on an important and interesting discipline at the interface between medical and natural sciences. Understanding the effects of mechanical influences on the human body is the first step toward developing innovative treatment and rehabilitation concepts for orthopedic disorders. This book provides valuable information on the forces acting on muscles, tendons, and bones. Beginning with the step-by-step fundamentals of physics and mechanics, it goes on to cover the function and loading of joints, movement in two- and three-dimensions, and the properties of biological tissues. This book explains the practical importance of biomechanics, including special chapters addressing the mechanical causes of disk prolapse, load on the spine in sitting and standing positions, and the correlation between mechanical loading and bone density. Key Features include:: -Limited use of complex vector equations while providing in-depth treatment analysis -Exquisitely illustrated, detailed descriptions of the mechanical aspects of every major joint in the body: hip, shoulder, knee, and lumbar spine -Extensive references for further information -Valuable appendixes describing the interaction between mechanical and biological functions as well as mathematical tools necessary to understand technically demanding concepts This book also analyzes techniques for changing the effects on bones and joints through therapy, training, external aids, modified behavior, and ergonomic improvements. An essential resource for orthopedists and physical therapists alike, it will help you understand past and current scientific work in the field and how to apply state-of-the-art solutions to the problems you'll encounter on a daily basis. Learn the principles of biomechanics that will help you improve patient care and further your understanding of the various aspects of musculoskeletal systems. This book examines the principles of mechanical engineering essential to the musculoskeletal system, and makes these concepts relevant to medical professionals and others who may not have the mathematical background of an engineer. Each biomechanical principle is described in five basic steps: definition; description; lay examples; clinical examples; and explanatory notes. Through this well-illustrated, cohesive discussion of biomechanics, you'll find an understandable and logical approach to the musculoskeletal system that will enhance any practice. Leading authorities provide an exploration of biomechanics focusing on specific issues related to diagnosis and treatment of musculoskeletal problems. Discussions point out the critical significance of biomechanical analysis to the understanding of muscle-joint interactions and the implications for normal and abnormal function. Biomechanics of Musculoskeletal Injury, Second Edition, presents clear, accessible explanations of the biomechanical principles of injury and how injuries affect the normal function of muscles, connective tissue, and joints. Noted biomechanists William Whiting and Ronald Zernicke guide readers through the mechanical concepts of musculoskeletal injuries without heavy emphasis on mathematics. Almost 10 years after the publication of the first edition, this much-needed second edition has been vastly improved. Packed with more than 400 illustrations, including graphs and anatomical art (nearly twice as many as in the previous edition), Biomechanics of Musculoskeletal Injury, Second Edition, is an indispensable reference offering perspectives on and appreciation for the intricacies of injury mechanisms. The text provides a solid foundation for in-depth study with a comprehensive examination of these issues: -The mechanical aspects of injury and the concept of injury as a stimulus for beneficial tissue adaptations -How injury affects the normal function of the human musculoskeletal system and an examination of arthrology, or joint mechanics -Mechanical parameters such as force, stress and strain, stiffness, and elasticity and their application to tissue mechanics and injury -How connective tissues respond to mechanical loading and how those tissues are studied to quantify their mechanical behavior -Factors such as age, gender, nutrition, and exercise with emphasis on how lifestyle choices might lessen the chance or severity of injury -How the principles of mechanical load and overload, use and overuse, level and progression of injury, and the many contributory factors involved in injury combine to form a backdrop for viewing specific musculoskeletal injuries Drawing on the information provided in previous chapters, the final section of the text covers the essentials of injuries of the lower extremity, upper extremity, and the head, neck, and trunk. New to the second edition, special sections titled "A Closer Look" present a detailed analysis of anterior cruciate ligament injuries, rotator cuff pathologies, and concussion. In addition, topics of current concern such as falls in older populations, throwing-related rotator cuff pathologies, and youth-related injuries from carrying backpacks are also discussed. This new edition also employs updated design features to reinforce learning, including the addition of a second color to highlight new sections and special elements. The running glossary provides immediate access to definitions, thereby increasing reading comprehension. The improved index offers a quick-search feature for glossary word definitions, and expanded references provide direction for further study. Additionally, essay questions included at the end of each chapter help readers create logical flows of information pertinent to chapter contents. For instructors, an online instructor guide offers outlines of the topics that students should address to answer the chapter review questions. Also available to instructors is an online presentation package featuring the graphics from the text to be incorporated easily into lecture presentations. By providing an understanding of injury mechanisms in all body regions, Biomechanics of Musculoskeletal Injury, Second Edition, serves as a comprehensive resource to assist health professionals, researchers, and students with the proper diagnosis, treatment, and prevention of musculoskeletal injuries. Biomechanics of the Musculo-skeletal System, Third Edition is an invaluable resource for all students, professionals and researchers concerned with biomechanical aspects of the human or animal body. This text offers a practical approach to biomechanics and motion analysis by illustrating mechanical and mathematical principles with real-world examples. The book explains the principles of mechanics and covers all aspects of kinematics and kinetics. Basic principles are illustrated with actual data obtained in laboratory settings. Case studies in each chapter present real situations to provide a deeper understanding of the principles. Each chapter ends with study questions. Mathematics is restricted to the essentials and many advanced calculations are performed using spreadsheet calculations. More than 250 illustrations complement the text. [Publisher-supplied data] Instant Notes titles focus on core information and are designed to help undergraduate students come to grips with a subject quickly and easily. Instant Notes Sport and Exercise Biomechanics provides a comprehensive overview of the key concepts in exercise and sport biomechanics. Library of Congress subject headings for this publication: Human mechanics. Biomechanics. Sports -- Physiological aspects. Exercise -- Physiological aspects. Unlike previous biomechanics texts that have taken a mechanical concept and identified activities in which the concept is implicated, Biomechanical Analysis of Fundamental Human Movementstakes a contrary approach by focusing on the activities and then identifying the biomechanical concepts that best facilitate understanding of those activities. Superbly illustrated with more than 140 figures depicting the critical points of biomechanical analysis, this two-color text is an invaluable tool for those pursuing the study of advanced quantitative biomechanics. It presents a clear introduction to the principles that underlie all human motion and provides a complete study of fundamental human movements and their components. Teachers of human movement, safety equipment designers, rehabilitation specialists, and students performing advanced research in the area of human biomechanics will appreciate the scientific and mathematical focus in the text. This focus allows readers to gain an understanding of human biomechanics that will enhance their ability to estimate or calculate loads applied to the body as a whole or induced in individual structures. Biomechanical Analysis of Fundamental Human Movementsbegins with a discussion of the principles of biomechanics and then continues into more advanced study involving the mechanical and mathematical bases for a range of fundamental human activities and their variations, including balance, slipping, falling, landing, walking, running, object manipulation, throwing, striking, catching, climbing, swinging, jumping, and airborne maneuvers. Each activity is analyzed using a specific seven-point format that helps readers identify the bimechanical concepts that explain how the movements are made and how they can be modified to correct problems. The seven points for analysis are aim, mechanics, biomechanics, variations, enhancement, safety, and practical examples that move from the simple to the more complex. More than 140 figures illustrate the points of analysis throughout the the text, providing readers with a clear depiction of both the mechanics and mathematics involved in human movements. The logical and sequential presentation of concepts in Biomechanical Analysis of Fundamental Human Movementsis complemented by pedagogical elements that reinforce and expand the readers'understanding. Within each chapter, key points and highlight boxes summarize critical information, and recommended readings provide easy access to related reference material. For quick reference, students can refer to the glossary and the appendix containing a guide to key symbols representing mechanical variables and mechanical formulae. In addition, the text features more than 60 problems with answers, categorized by mechanical concept, for readers to test their understanding of biomechanical analysis. Biomechanical Analysis of Fundamental Human Movementsprovides a complete understanding of this branch of human biomechanics using mechanical, mathematical, and biological definitions and concepts. Its focus on fundamental human activities develops advanced analytical skills and provides a unique and valuable approach that facilitates mastery of a body of information and a method of analysis applicable to further study and research in human movement. Fundamentals of Biomechanics introduces the exciting world of how human movement is created and how it can be improved. Teachers, coaches and physical therapists all use biomechanics to help people improve movement and decrease the risk of injury. The book presents a comprehensive review of the major concepts of biomechanics and summarizes them in nine principles of biomechanics. Fundamentals of Biomechanics concludes by showing how these principles can be used by movement professionals to improve human movement. Specific case studies are presented in physical education, coaching, strength and conditioning, and sports medicine. Drawing on the disciplines of neurophysiology and physics, Neuromechanics of Human Movement, Fourth Edition, explores how the nervous system controls the actions of muscles to produce human motion in relation to biomechanical principles. This contemporary approach is much different from the traditional approach, which focuses solely on mechanics and does not consider the role of the sensory system in the control of human movement. Neuromechanics of Human Movement, Fourth Edition, provides a scientific foundation to the study of human movement, and as such it uses precise terms and definitions when discussing ideas and utilizing the international metric system (SI). Readers will find an appendix that helps in identifying the SI metric units as well as other learning tools, including a glossary of terms and two other appendixes that cover conversion factors and equations. Throughout the text, the content is visually reinforced with more than 750 illustrations, many of which are new or upgraded from the previous edition and include specific illustrations of the neuromechanics involved in sport and rehabilitation movements. Finally, the text contains more than 1,500 updated references and suggested reading lists for each chapter. To further enhance this fourth edition, significant content updates have been made to ensure the latest information is presented for both research and clinical environments: -New coverage regarding electromyography (EMG) that demonstrates the connection between the nervous system and the muscle by measuring the activation signal, allowing readers to better understand how motion is activated -Additional examples that underscore recent research developments in reaching and grasping activities for rehabilitation -In-depth coverage of the motor system that addresses excitable membranes, muscle and motor units, and voluntary movement -Expanded discussion of neuromuscular system adaptations to the aging process -Neuromuscular system adaptations with particular application to rehabilitation To encourage a comprehensive learning experience, this updated edition follows a logical progression where each part builds on the material from the previous section. It begins with an introduction to the biomechanical terms and concepts commonly used to describe movement, focusing on the relation between force and motion. Once readers have grasped the basic laws of motion, the text continues by considering the essential neurophysiological concepts that help to explain movement produced by the nervous system and muscle. The author uses a "bottom-up" approach for this explanation that begins with the principles of electricity and extends up to connections within the cerebral cortex. This approach encompasses the essentials of electricity responsible for the excitability of cell membranes and explains the relations between spinal neurons and muscle fibers. The third and final part of the text concludes by describing the ways in which the motor system adapts to various types of physical stress. These adapative capabilities include altering core temperature, phenomena such as strength and power training, adaptations that occur after periods of reduced activity, motor recovery from injury; and changes that occur with aging. Readers will understand how acute adjustments can be made to the motor system through interventions such as warm-up, flexibility, muscle soreness, and muscle fatigue. The fourth edition of Neuromechanics of Human Movementprovides a scientific basis for the study of human movement while continuing to expand current knowledge in the fields of biomechanics and neurophysiology. By integrating these fields in a unique framework, this text offers professionals and students both valuable clinical information and inspiration to deepen their study of human movement. Drawing on the expertise of 31 international researchers in biomechanics, exercise physiology, and motor behavior, Biomechanics and Biology of Movementprovides an integrated, multidisciplinary, scientific approach to understanding human movement. As a text, it uses an integrated scientific approach to explore solutions to problems in human movement. As a complete reference volume, it provides an overview of how energy and work, balance and control, load factors, fatigue, and exercise interact to affect performance.Edited by three renowned specialists in the fieldBenno M. Nigg, Brian R. MacIntosh, and Joachim Mesterthe text contains over 130 mathematical equations to illustrate and increase understanding of its concepts. The editors defined the important components of topics such as work and energy, balance and motor control, load and excessive load, and fatigue and invited world-renowned experts in these areas to contribute from their viewpoints.Following an introduction highlighting the necessity of an interdisciplinary approach incorporating biology, biomechanics, biochemistry, physics, physiology, and other sciences, Biomechanics and Biology of Movement provides a four-part approach to problem solving arising from various movement, exercise, and sport sciences.Each part opens with a chronology of major events in research history and ends with a summary and a glossary of key terms.Part Iexamines chemical, mechanical, physiological, electrical, thermal, and other energy forms, and their interrelationship and transformation in order to produce optimal performance. Sport shoes, the pole used in pole vaulting, and specialized surfaces that allow storage and return of energy to the athlete serve as examples of how these energy factors work together and affect an athlete's performance.Part IIdiscusses how balance, motor control systems, and, most importantly, gravity interact to produce all human movement. This section also includes methods for applying these insights to individual performance situations.Part IIIexplores the importance of mechanical load and force as well as their impact, both internal and external, on specific physical structures and systems, activities, and overall health. Strategies for preventing or reducing injuries and enhancing performance are also included.Finally, Part IV explores the interplay among exercise, muscle fatigue, and methods for its detection as well as some results of muscle fatigue such as impaired mobility and the potential for injury.Readers will also learn how to apply integrated scientific research to-optimize muscle function,-enhance energy balance for physical activities,-prevent injuries in athletes,-prolong physical ability in active, older adults,-rehabilitate joint instability,-increase muscular endurance,-discover limits of performance due to fatigue, and-resolve other problems in human movement.Whatever your situationbiomechanist, physiologist, therapist, trainer, or studentBiomechanics and Biology of Movementoffers you a thorough overview of biomechanics, exercise physiology, and motor behavior; how they impact human movement; and how an increased appreciation of their importance can enhance performance. Research and study in biomechanics has grown dramatically in recent years, to the extent that students, researchers, and practitioners in biomechanics now outnumber those working in the underlying discipline of mechanics itself. Filling a void in the current literature on this specialized niche, Principles of Biomechanics provides readers with a solid grasp of the fundamentals and the enabling procedures of this rapidly expanding field, placing a sharp focus on dynamic phenomena in the area of whole-body biomechanics. Applies Biodynamic Models to Everyday Activities Emphasizing biodynamic modeling and the analysis of human body models, the book begins with a review of gross human anatomy and a summary of basic terminology. It describes various methods of analysis, including elementary mathematics, elementary mechanics, and the fundamental concepts of the mechanics of materials. Later chapters discuss the modeling of biosystems, tissue biomechanics, biodynamics, kinematics, kinetics, and the inertial properties of human body models. The book concludes with a review of sample applications of biodynamic models in activities such as lifting, maneuvering in space, walking, and swimming, as well as crash victim simulation. Uses simple language to convey complex principles With numerous professionals in a range of areas entering this field daily, there is a pressing need for a book which captures for a wide audience the principles of biomechanics analysis. Readily accessible to those with only a basic background in engineering fundamentals, mathematics, and physics, this text enables readers to understand virtually all areas of human body dynamics ranging from simple movements to optimal motions to accident victim dynamics. Combining topics from numerous applications in biomechanics, Applied Biomedical Engineering Mechanics demonstrates how to analyze physiological processes from an engineering perspective and apply the results to tertiary medical care. The book extends its discussion to the investigation of diagnostic and surgical procedures. It also presents guidelines for prostheses design and explains how to optimize performance in sports games such as soccer, baseball, and gymnastics. Using a problem-based format, the book explains how to- · Formulate diagnostic and interventional procedures, based on the analysis of physiological and organ system-based processes · How human anatomical structures and physiological processes are designed for optimal functionality · Develop orthopedic surgical approaches, using pre-surgical analysis · Assess and promote fitness, and analyze sports games to maximize competency. The world-class instruction presented within Applied Biomedical Engineering Mechanicsclearly demonstrates how to quantify physiological processes in order to formulate solutions to various medical problems. Biomechanics: Principles and Applications offers a definitive, comprehensive review of this rapidly growing field, including recent advancements made by biomedical engineers to the understanding of fundamental aspects of physiologic function in health, disease, and environmental extremes. The chapters, each by a recognized leader in the field, address the subjects of biosolid mechanics and biofluid mechanics as they pertain to various subsystems of the human body. They also review applications such as sports biomechanics, repair and rehabilitation of body parts, and technology to support or replace ailing physiologic organs with prosthetic parts. A unique feature is the convenient handbook style and tabular format that puts quantitative data at your fingertips. Illustrations further add to the value of this book. The text is concise, topical, and not overly technical. No other book covers the entire field of biomechanics so succinctly in one volume. This classic book is accepted internationally as the standard treatment of the mechanical properties of biological fluids, solids, tissues and organs. It is used widely as both a reference and textbook in this rapidly-growing field. Biomechanics presents a general outline of the discipline, with applications to bioengineering, physiology, medicine and surgery. The second edition reflects the broad advances that have been made in this field during the past decade, and adds numerous new topics. References have been brought up to date, and the widely-praised emphasis on formulating and solving problems has been strengthened with numerous new problems. This book begins with a unique historical introduction to the field of biomechanics, followed by a vital chapter which relates the definitions and vocabulary of applied mechanics to biological tissues. These tools are then used to treat in detail the mechanical properties of blood, including blood cells and vessels. The remaining chapters discuss the viscoelastic properties of biological fluids and solids, as well as the mechanics of muscle, bone and connective tissue. With Biomechanics: Motion, Flow, Stress, and Growth, thepremier bioengineering scientist Y.C. Fung concludes a discussionfirst introduced in his seminal work, Biomechanics: MechanicalProperties of Living Tissues, and further articulated in Biomechanics:Circulation. 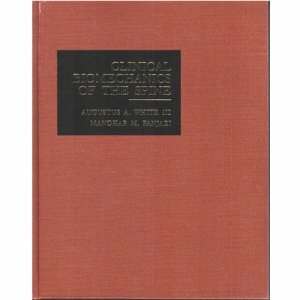 This third volume not only stands alone as acomprehensive survey of the broad field of biomechanics, but alsocomplements the explorations of the first two volumes, maintaining itsemphasis on methods of classical engineering as applied to biologicaland physiological phenomena. While consistently recognizing theimportance of historical precedence and perspective, Fung presents themost contemporary literature and the latest thinking in biomechanicsin thei increasingly complex interdisciplinary subject. Considered here are 1.) the mechanics of body movement; 2. )the flow external to an animal in motion, and the internal flow ofblood, gas, water, and other body fluids; 3.) the stress and strain,and the strength, trauma, and tolerance limits of tissues and organs;and 4.) the growth and change in living organisms in response tobiomechanical principles. A generous number of problems to be solvedand a carefully selected list of references are especially useful andshould help to stimulate thought and discussion among advancedundergraduates, graduate students, and others with an interest inbioengineering and medicine. From single molecules to cells, tissues, organs, and whole organisms, mechanics plays a vital role in understanding relationships between structure and function. From atomic force microscopy to laser tweezers, bioreactors, cone-and-plate viscometers, and four-point bending devices, mechanics plays an essential role in designing, performing, and interpreting many experiments that are essential to biomechanics and mechanobiology. Supported by a Whitaker Foundation Teaching Materials Award, An Introduction to Biomechanics: Solids and Fluids, Analysis and Design introduces the undergraduate student to the basic approach of mechanics and reinforces the practice of this approach via the formulation and solution of a host of problems from cardiovascular, musculoskeletal, pulmonary, and cell mechanics. Topics in biosolid mechanics include the analysis of extension, inflation, torsion, bending, and buckling problems that are important in both clinical and basic science settings. Topics in biofluid mechanics include fluid statics, Bernoulli's equation, Navier-Stokes solutions, non-Newtonian fluids, and control volume analyses of flows in cell culture systems, arteries and veins, airways, clinical devices, and viscometers. APPLIED BIOMECHANICS: CONCEPTS AND CONNECTIONS is comprehensive in coverage and focuses on making connections between biomechanics and other subdisciplines of Exercise Science. The text begins with a qualitative, conceptual explanation and then moves to a mathematical one, including both qualitative and some mathematical examples. The text also includes a brief review of anatomy. Biomechanical Basis of Human Movement integrates basic anatomy, physics, calculus, and physiology for the study of human movement. The book provides a uniquely quantitative approach to biomechanics, and is organized into three parts: Foundations of Human Movement, Functional Anatomy, and Mechanical Analysis of Human Motion. New to this edition: basic mathematics information, increased practical applications, and a new chapter on emphasizing techniques for measuring the strength of human tissue. Now every copy of the book comes with Innovision Systems' MaxTRAQ software specially customized for Biomechanical Basis of Human Movement, Second Edition. This downloadable motion analysis software offers you an easy to use tool to track data and analyze various motions selected by the authors. Biomechanics applies the principles and rigor of engineering to the mechanical properties of living systems. This book integrates the classic fields of mechanics--statics, dynamics, and strength of materials--using examples from biology and medicine. Fundamentals of Biomechanics is excellent for teaching either undergraduates in biomedical engineering programs or health care professionals studying biomechanics at the graduate level. Extensively revised from a successful first edition, the book features a wealth of clear illustrations, numerous worked examples, and many problem sets. The book provides the quantitative perspective missing from more descriptive texts, without requiring an advanced background in mathematics. It will be welcomed for use in courses such as biomechanics and orthopedics, rehabilitation and industrial engineering, and occupational or sports medicine. Classification of fractures and soft tissue injuries is an essential aid in the diagnosis and management of injuries, the assessment of outcomes and in clinical research. When many systems are available for a particular injury, this can cause confusion and controversy over management.In thisinvaluable book the three editors provide a comprehensive review of all of the known musculoskeletal trauma classification systems in a single volume. A team of contributors has sought out original versions of classification systems wherever possible, and these have been presented in chaptersaccording to the site of injury. No training in orthopaedics can be considered complete unless it includes an in depth exposure to the basic concepts and techniques of biomechanics. The notion of the human body as a complex mechanism composed of levers, cables, fulcrums, and force actuators provides a foundation for much of our current thinking about the function and treatment of the musculoskeletal system. Yet this very useful body of knowledge is often inaccessible to the busy resident and practicing orthopaedist because of the unremitting rigor with which mechanical analysis is usually pursued and because of the proprietary vocabulary with which it is often described. In preparing A Primer of Biomechanics, the authors have broken down these barriers to provide orthopaedic residents, practicing orthopaedists, and others with a friendlier entree to this important material. Gain a better understanding of the basic science underlying orthopaedics and enhance your ability to make informed decisions with "Orthopaedic Basic Science. This comprehensive text provides the latest scientific background to support the diagnostic and procedural decisions you make everyday. Compiled and peer reviewed by internationally recognized scientists and clinicians, this edition combines recent discoveries and immutable scientific principles into a quick referencing format. This practical, authoritative text presents the latest advancements in neuromuscular science. Includes expanded knowledge in the basic science of bone, organ tissues, and kinesiology. Also explains the role of physics and engineering in understanding how the musculoskeletal system works. Hundreds of high quality radiographs, micrographs and line diagrams supplement the text. This text provides a firm foundation in the biomechanical methods and tools necessary for quantifying human movements. Research Methods in Biomechanicsis an invaluable resource for developing and seasoned researchers wishing to hone their skills and learn new techniques in the collection, analysis, and interpretation of data. The reference shows how the laws of motion are applied to complex human movements. The text demonstrates how to combine segments to obtain limb or total-body measures. All the material is presented in such a way that you need only basic knowledge of Newtonian mechanics and vector algebra to benefit.The easy-to-navigate book is organized into 11 chapters and three parts. Part 1describes the kinematics of motion using 2- and 3-D analyses. Part 2considers the kinetics of motion with respect to quantifying forces, work, impulse, and power. Both 2- and 3-D analyses are again provided, as well as methods to directly and indirectly measure forces. Part 3examines numerous additional techniques to quantify motion, including electromyography, muscle modeling, and computer simulation.Research Methods in Biomechanicscontains extensive tables, reference materials, and other features that will enhance your understanding of the material: -Each chapter begins with objectives that enable you to quickly access different topics.-Exercises appear throughout the text, allowing you to test your skills.-Key terms are highlighted and defined in a handy glossary.-Current studies from scholarly journals are analyzed to demonstrate how different methods and techniques apply in actual research experiments.-Suggested readings provide direction for deeper study. This text will help you test your skills in using a variety of research methods and apply the requirements and steps necessary for valid data collection. It is a must-have for biomechanics professionals, researchers, and students. Current clinical orthopedic practice requires practitioners to have extensive knowledge of a wide range of disciplines from molecular biology to bioengineering and from the application of new methods to the evaluation of outcome. The biomechanics of and biomaterials used in orthopedics have become increasingly important as the possibilities have increased to treat patients with foreign material introduced both as optimized osteosynthesis after trauma and as arthroplasties for joint diseases, sequelae of trauma or for tumor treatment. Furthermore, biomaterial substitutes are constantly being developed to replace missing tissue. Biomechanics and Biomaterials in Orthopedics provides an important update within this highly important field. Professor Dominique Poitout has collected a series of high-quality chapters by globally renowned researchers and clinicians. Under the auspices of the International Society of Orthopaedic Surgery and Traumatology (SICOT) and International Society of Orthopaedic and Traumatology Research (SIROT), this book now provides permanent and specific access to the considerable international knowledge in the field of locomotor system trauma and disease treatment using the novel bioengineering solutions. This book covers both basic concepts concerning biomaterials and biomechanics as well as their clinical application and the experience from everyday practical use. This book will be of great value to specialists in orthopedics and traumatology, while also provide an important basis for graduate and postgraduate learning. Advancements in dynamic reconstruction of the spine have been immense. In particular, arthroplasy of the spine has taken a large step over the last half decade. This book summarizes the current technologies and advancements concerning dynamism. It offers comprehensive coverage of the history of arthroplasty, provides an understanding of current arthroplasty techniques, and proposes a direction for further advancement. This text is divided into various chapters subdivided into four sections. With a thorough review of the cervical and lumbar spine, the text incorporates both anterior and posterior approaches to dynamic stabilization. You will find sections on motion preservation of the spine, lumbar nucleus replacement, lumbar total disc replacement, dynamic posterior stabilization, facet replacement, annular repair, and much more. Within each section, the multitude of different chapters will provide an exhaustive review of systems in proposition and/or production. With each chapter written by the system's inventor or surgeon with expertise with that particular system, readers will gain specific insights into each system. Finally, dynamic reconstruction of the spine is becoming a reality. This state-of-the-art reference thoroughly summarizes the vast literature and equipment currently being investigated not only to contrast the instrumentation systems but also to provide insight into further research and development. This book on spinal restabilization techniques is an anatomical, biomechanical, clinical, radiological, and surgical overview of the diagnostic methods and newest treatment options for use in patients presenting with degenerative disc disease associated with spinal instability. Edited by a Neurosurgeon and a Neuroradiologist with extensive experience in these areas, it covers the most current information in the field of modern spinal corrective surgery. The varied therapeutic options are presented by many of the primary inventors and first users of the wide array of newly developed and individually unique intersegmental stabilization devices, interbody disc fusion appliances and intervertebral disc replacement implants. This international collection of chapters is intended to be of interest not only to spine surgeons, but also to any physician involved in the diagnosis and treatment of degenerative disc disease and spinal instability that is resistant to conservative management. Spinal implants: are we evaluating them appropriately? Over 140 specialists detail the newest materials and devices for improving clinical success with spinal fusion, including advances in biodegradable implants, recombinant DNA, stem cell isolation and transfection and 2D and 3D scaffolds for cells. New motion-preserving devices are revolutionizing spine surgery.but the learning curve for these operations is steep, and great attention must be given to patient and device selection and the perfect execution of each procedure. Only one reference spells out exactly how to perform these new techniques.and its peerless author team, comprised of key investigators involved in the devices' actual clinical trials, is uniquely qualified to help you get the best results! These global leaders in this area discuss the advantages and disadvantages of the full range of non-fusion technologies.and present the step-by-step, richly illustrated operative guidance you need to achieve optimal outcomes! 3 hours of surgical video on DVD demonstrate how to perform key procedures, and access to the complete contents of the book online enables you to reference it conveniently from any computer. Select the best device and approach for each patient! Produce optimal outcomes with detailed advice on. See how to perform each technique, thanks to. * more than 3 hours of surgical videos on DVD, narrated by the experts! Access to the complete contents of the book online lets you perform rapid searches, follow links to Medline and PubMed abstracts, and more. Written by foremost experts, this new text is a complete guide to contemporary forms of spinal instrumentation. It covers all implant systems and their applications, allowing you to make side-by-side comparisons to select the most appropriate device. You will also find practical information on anatomy, insertion techniques, and complication avoidance for each system, along with thousands of high-quality graphics illustrating devices and procedures. Addressing all aspects of spinal instrumentation, this encyclopedic reference is a must for spine surgeons, neurosurgeons, orthopedic surgeons, and other practitioners treating spine disorders. With an ever-expanding array of biomaterials and implant devices appearing in the field, this source helps surgeons assess and utilize the latest developments to improve the reconstruction of the spine and enhance the reconstitution of diseased spinal segments. With illustrative descriptions of specific clinical scenarios, this guide helps surgeons select the best devices and materials for reconstructive procedures and considers issues in biocompatibility, biostability, and structure/function relationships for enhanced patient outcomes and mobility. Written by an international group of expert spine surgeons, this volume thoroughly examines new nonfusion technologies for treating spinal degenerative conditions while preserving motion. Major sections describe various surgical techniques and devices for nucleus pulposus replacement and total lumbar and cervical disc arthroplasty, as well as other stabilization techniques. Coverage includes indications and contraindications, surgical approaches, and the latest clinical trial results. Several chapters discuss nonsurgical and minimally invasive treatments, including gene therapy, nucleus pulposus regeneration, and IDET. Other chapters address economic and ethical issues, including use of registries, medical device regulation, and outcome and cost of lumbar disc replacement versus lumbar fusion. Joint replacement is a logical step in the treatment of severe joint pathologies with irreversible lesions resisting conservative therapy. At the spinal level, arthrodesis became, very early, the gold standard of treatment for severe intervertebral disc pathologies. The next logical step was to envision functional replacement, and this step was taken as early as 1956, when the first intervertebral implant was described. However, it took many more years and a great variety of proposed implant designs before clinical applications could be attempted. This volume provides a comprehensive review of the definition, biomechanics, physiopathology, clinical presentation, diagnosis, and treatment of lumbar segmental instability. Leading international experts shed new light on the controversies surrounding this condition and offer clinicians guidance in choosing appropriate and cost-effective therapy. Coverage includes discussions of the clinical definition and natural history of lumbar segmental instability and chapters on sciatica, central and lateral stenosis, and spinal instability due to metastatic cancer and iatrogenic conditions. The book offers guidelines on the use of MR imaging and other radiologic studies in the diagnostic workup. A section on conservative treatment examines rheumatologic approaches, exercise, and manipulation and thoroughly explains the rationale for lumbar orthoses. An extensive section on surgical treatment describes a variety of techniques, approaches, and devices for achieving elastic or rigid fixation. Also included are in-depth discussions of the ethical and economic implications of operating on this controversial pathology. Written by leading authorities in the field of spine care, this book is a comprehensive reference for the latest techniques for managing intervertebral disc disorders affecting the lumbar spine. Divided into four main sections, the book opens with a review of fundamental basic science concepts, including epidemiology, anatomy, pathophysiology, biology, biomechanics, and mechanisms of pain. The second section focuses on the management of disc herniation, with chapters guiding clinicians from the pathophysiology of the herniated disc to clinical presentation to various treatment strategies. The final sections of the book present in-depth coverage of degenerative disc disease and provide essential information for imaging and testing, diagnosis, patient screening, treatment, and rehabilitation. Highlights: -Detailed coverage of the latest innovations in the field, including nonsurgical treatments, minimally invasive procedures, biologic techniques, and motion-preserving procedures, enables clinicians to select the appropriate treatment for each clinical situation -More than 200 high-quality illustrations and images demonstrate key concepts -Valuable discussion of safety considerations and how to avoid and manage potential complications Ideal for practitioners and trainees with a focus on spinal disorders, this book will be an invaluable resource for orthopaedists, neurosurgeons, pain specialists, physiatrists, neuroradiologists, and researchers in these specialties. Presenting the 4th edition of this excellent text, with the expertise of 19 leading specialists representing the fields of orthopedic surgery, neurosurgery, osteopathy, physical therapy, and chiropractic. These authorities bring you comprehensive, multidisciplinary guidance on low back pain diagnosis, prevention, and education. And, they detail the best of today's surgical treatment approaches as well as the most effective manual manipulation methods. Chronic low-back pain is the focus of this book. Presented in a systematic manner, this work reviews epidemiological studies which have shown that various mechanical factors play a significant role in the onset of chronic low-back pain. To provide you with a better understanding of the information in these chapters, ample illustrations and tables are included. At the end of each chapter, the reader is directed to even further in-depth information. It is the intent of the authors that this writing will promote further biomechanical research. Written in an instructional format, this text is ideal for training bioengineering and medical students. This volume is also of practical value to practicing surgeons and scientists who are interested in seeking solutions to the low-back pain problem. Over the past decade, there has been rapid growth in bioengineering applications in the field of spine implants. This book explains the technical foundation for understanding and expanding the field of spine implants, reviews the major established technologies related to spine implants, and provides reference material for developing and commercializing new spine implants. The editors, who have a track record of collaboration and editing technical books, provide a unified approach to this topic in the most comprehensive and useful book to date. Related website provides the latest information on spine technology including articles and research papers on the latest technology and development. Major technologies reviewed include devices used for fusion (screws, plates, rods, and cages), disc repair and augmentation, total disc replacement, and vertebral body repair and augmentation. Technology landscape, review of published/public domain data currently available, and safety and efficacy of technology discussed in detail. To join Scientific Spine mailing list, click here.